It also means that they’ll have three fixed-grip quads with loading carpets by three different builders: Rampart (East) by Skytrac, Pacific Crest (West) by Garaventa CTEC, and the new Holiday (Central) by Doppelmayr. We’ve spend many weekends lapping Rampart and the loading carpet works well there. This should be really help cut down the lines at Holiday! It’s interesting that they went with Doppelmayr, considering they installed a Skytrac previously. I realize there are lots of reasons why you may go with a specific manufacturer, but this seems like a project that would be well suited for Skytrac. On the other hand this is Boyne, which has installed Skytracs previously, but could have possibly lumped this lift in with a Doppelmayr contract at another resort? One of the reasons I love following this industry is the surprises that come this time of year. 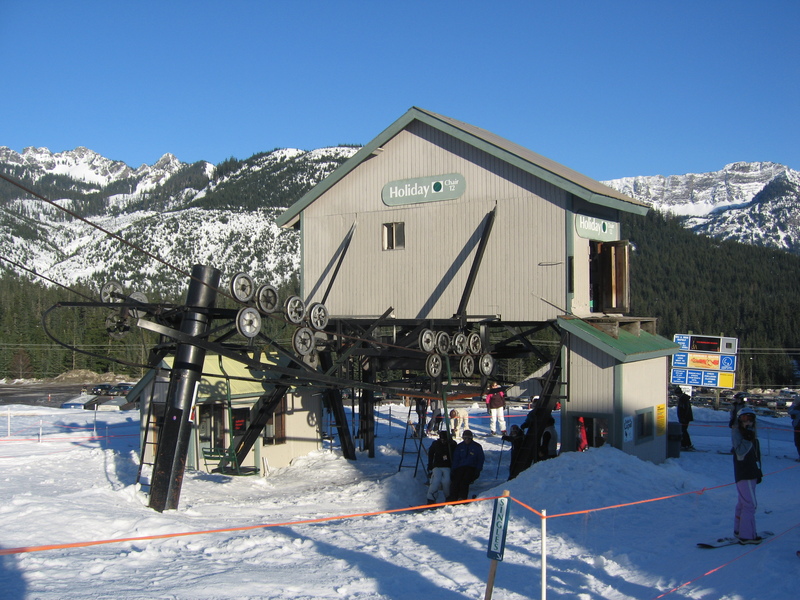 Before Rampart, the three previous Snoqualmie lifts were all built by Poma/Leitner-Poma. Nice. I just asked Peter about this lift a few days ago. Excellent news. My kids are just starting and we really didn’t like riding that old lift. Why would you hate riding the double. It is a very cool old Riblet. The upgrade is fine but nothing special. These centre pole Riblets are really cool, but an absolute pain to load, especially for kids. The outside hand rails are also really small, I’m sure it would make me nervous with kids. Exactly. I have young kids and those handles are very small plus no safety bar. Its exclusively a beginner run so really should have been replaced years ago. This lift while nothing special is desperately needed. 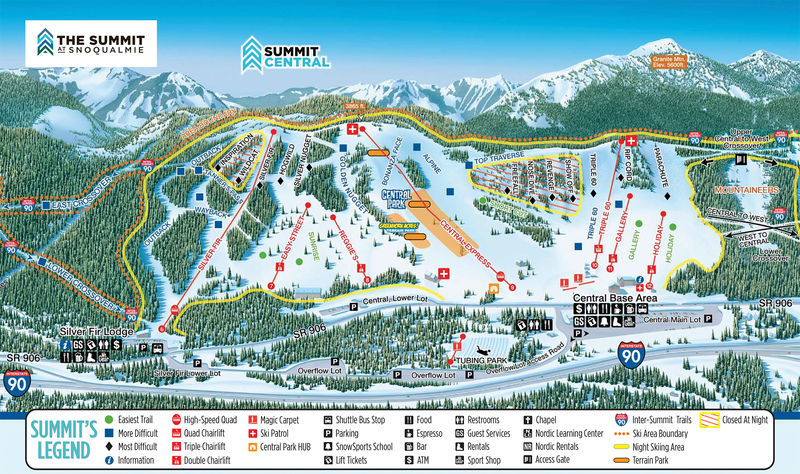 Snoqualmie is a very beginner mountain and the current chair is difficult for beginners and small children to load. The lines during core season were also really long. I spent most of the season operating Holiday and I have season firsthand the necessity of this upgrade. Former Powderpig by the sound of it! Miss the days when it was painted Red! Doppelmayr and Skytrac utilise nearly the same foundation and similar tower designs so how would it make a difference? Now a days it generally comes down to who can get it done the quickest and/or within a specific budget. I believe favoritism towards a specific manufacturer is on the decline. Lift Mechanics can be required to learn a new design/manufacturer when they may have been exclusive to Poma or Doppie prior. Think of it like shopping for insurance now a days- smart people will shop around or use a broker vs staying loyal to one brand just because they have taken care of you and your family for 30+ years. Loyalty means nothing in this day and age. At least to most companies. Nope. I don’t know if anyone here recalls the fixed platter at Alpental, but it was a Doppelmayr. 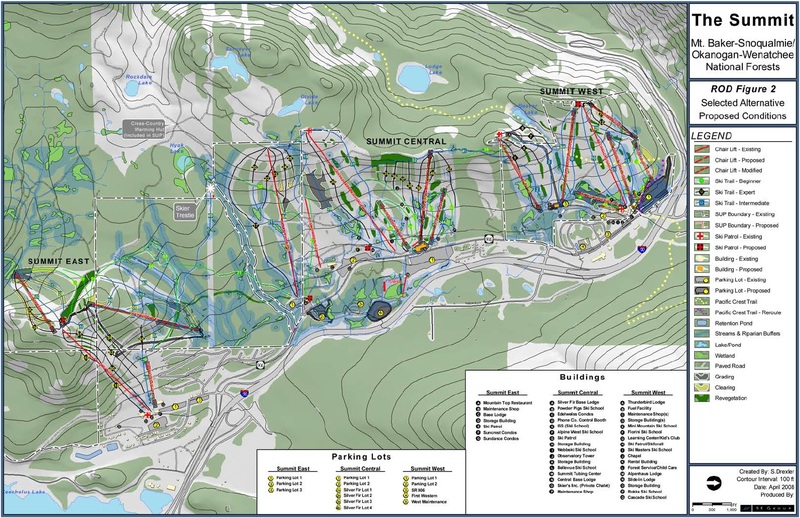 I saw on the master development plan that they are planning on building a lift at Alpental to serve international. Hoping they will do that soon. They should leave Gallery. I’m sure it’ll still be needed on busy weekends and ease off the Holiday load a bit. Also, I’m pretty sure Gallery was the first Riblet double installed on Snoqualmie Pass, so it’s historically significant. I’d be sad to see all the center pole Riblet doubles go away. Good thing we have so many left. Also, they should consider recycling the Holiday lift to serve some terrain in the Mountaineers annex.